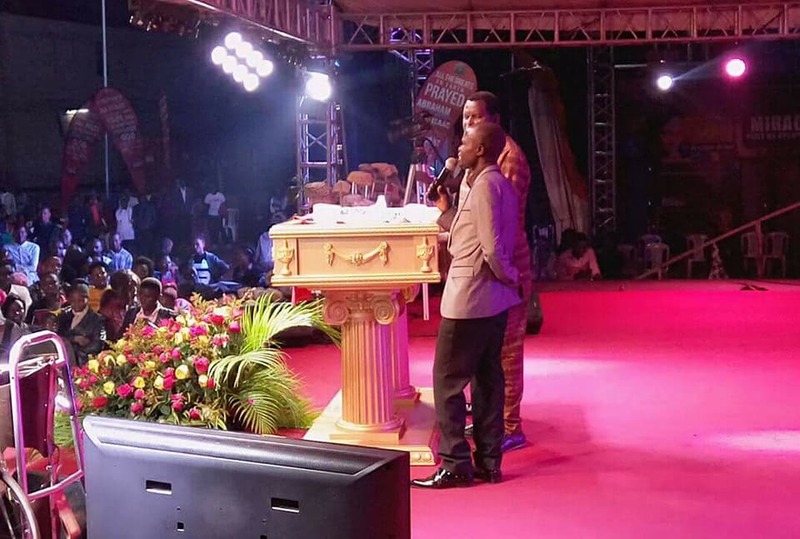 Singer Ronald Mayinja is the latest local celebrity to give his life to Jesus Christ at Pastor Robert Kayanja’s 77 Days of Glory (DOGS) crusade. According to reports, before confessing Jesus Christ, Ronald Mayinja revealed that he asked God to take his life three times that day. He then decided to go to a bar to drown his sorrow in booze. However, on his way to the bar, he allegedly had a voice that instructed him to go to Pastor Kayanja’s on-going 77 Days of Glory gathering. He obliged. 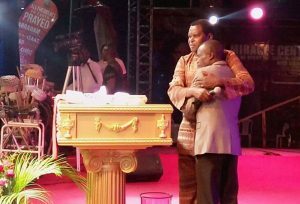 Pastor Robert Kayanaja welcomed him and shared with him the message of salvation.